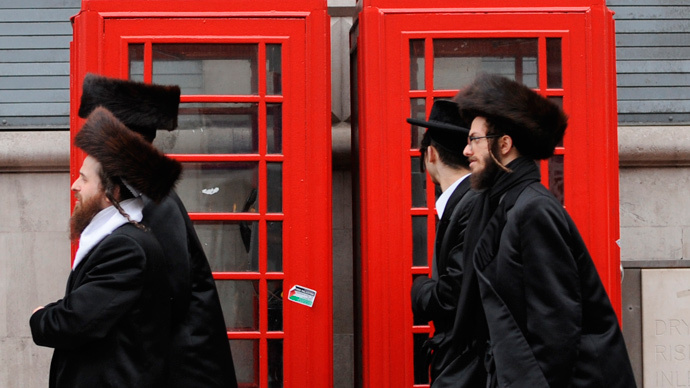 Belz rabbis, of the Chasidic Jewish tradition that maintains a conservative lifestyle, sent a letter last week to Jewish families in London stating that children would be banned from schools and other educational institutions if they were driven by their mothers. The letter, signed by leaders of Belz schools, added there had been a rise in the numbers of women driving their families around, which had led to “great resentment among parents and pupils of our institutions,” the Jewish Chronicle reports. According to the letter, there had been suggestions from the Belzer Rebbe in Israel to introduce the policy. “The more kids they have, the more they need to drive,” she added. She felt the rule would be ignored by many mothers in the area. The letter was sent out in Stamford Hill, North London. A poorly-attended anti-Jewish protest took place in the area in April, with further demonstrations planned there over the coming months. Far-right groups are planning to stage an “anti-Jewification” rally in July in the neighboring Jewish community of Golders Green. Neo-Nazi Joshua Bonehill-Paine is thought to be behind the event, which could be the largest of its kind held in Europe in recent years. Bonehill-Paine said the event was an “appeal against the Jewification of Britain,” asserting there is an “occupation force of approximately 50,000 Jews” in the area. Anti-immigrant group New Dawn tweeted: “Oppose the ‘Shomrim’ demo. Golders Green. Saturday July 4th Details to follow.” The “Shomrim” is a Jewish volunteer group that works with the Metropolitan Police Service to protect Jewish community buildings and members. Counter protests will take place simultaneously, including members of Antifa and Unite Against Fascism (UAF). Radical Jewish group Jewdas told the Jewish News: “Racists can only be stopped when they are confronted at every turn. Left alone, they’re only left to grow.